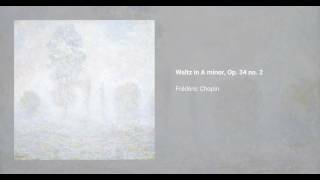 Frédéric Chopin wrote his three Waltzes for solo piano, Op. 34, in the years from 1834 to 1838. 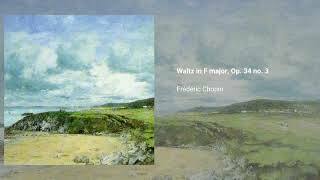 They were published in 1838 under the title Grandes Valses Brillantes, but nowadays that nickname is usually reserved for the Waltz in E flat major, Op. 18. 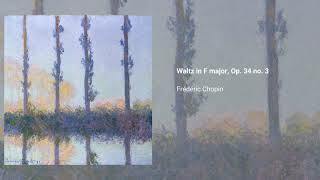 Chopin had been writing waltzes since 1824, a decade earlier than this particular set, though at first he didn't consider them a serious form of art. 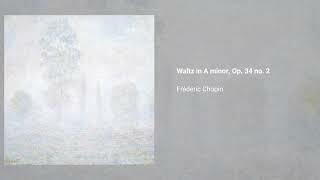 Indeed, at the turn of the century there had been a controversy about the waltz as a dance form, causing dizziness in the dancers, and allowing men and women to share an intimate embrace in public. 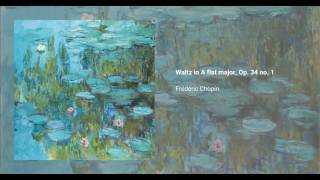 Chopin's waltzes, nevertheless, were a kind of art music meant for seated audiences, and though he respected the traditional form, he often embellished it.